j90 Melnik and A. Goriely. Dynamic fiber reorientation in a fiber-reinforced hyperelastic material. Mathematics and Mechanics of Solids. 2013. 18, 6.
j88 D. E. Moulton, T. Lessinnes, A. Goriely, 2013. Morphoelastic rods Part I: a single growing rod. Journal of the Mechanics and Physics of Solids. =2013. 61, 2.
j87 A. Mihai and A. Goriely. Numerical simulation of shear and the Poynting effects by the finite element method: An application of the generalised empirical inequalities in non-linear elasticity. International Journal of Nonlinear Mechanics. 2013. 49.
j86 Yavari and A. Goriely. Weyl Geometry and the Nonlinear Mechanics of Distributed Point Defects. Proceedings of the Royal Society A: Mathematical, Physical and Engineering Science. 2012. 468.
j83 A. Majumdar, C. Prior, and A. Goriely. Stability estimates for a twisted rod under terminal loads: a three-dimensional study. Journal of Elasticity. 2012. 109, 1.
j81 A. Yavari and A. Goriely. Riemann-Cartan Geometry of Nonlinear Dislocation Mechanics. Archives of Rational Mechanics and Analysis. 2012. 205, 1.
j80 A. Yavari and A. Goriely. Riemann-Cartan Geometry of Nonlinear Disclination Mechanics. Mathematics and Mechanics of Solids. 18, 1.
j77 S. Neukirch; J. Frelat, A. Goriely, and C. Maurini. Vibrations of post-buckled rods: the singular inextensible limit. Journal of Sound and Vibration. 2012. 331, 3.
j76 A. Mihai and A. Goriely. Positive or negative Poynting effect? The role of adscititious inequalities in hyperelastic materials. Proceedings of the Royal Society A: Mathematical, physical, and engineering sciences. 2011. 467.
j74 B. Durickovic, M. Quezada, and A. Goriely. Nonlinear waves in heterogeneous elastic rods via homogenization. International Journal of Nonlinear Mechanics. 2012. 47, 2.
j66 R. De Pascalis, M. Destrade, and A. Goriely. Nonlinear Correction to the Euler Buckling Formula for Compressed Cylinders with Guided-Guided End Conditions. Journal of Elasticity. 2011. 102, 2.
j62 M. A. Beauregard, A. Goriely, and M. Tabor. The nonlinear dynamics of elastic tubes conveying a fluid. International Journal of Solids and Structure. 2010. 47, 1.
j55 Goriely, R. Vandiver, and M. Destrade. Nonlinear Euler buckling. Proceedings of the Royal Society of London Series A Containing Papers of a Mathematical and Physical Character. 2008. 464, 2099.
j54 S. Neukirch, A. Goriely, and A. Hausrath. Elastic coiled-coils act as energy buffers in the ATP synthase. International Journal of Non-Linear Mechanics. 2008. 43, 10.
j51 A. Goriely, A. Hausrath, and S. Neukirch. The differential geometry of proteins and its applications to structure determination. Biophysical Reviews and Letters. 2008. 3, 01n02. j50 S. Neukirch and A. Goriely. La chiralité des protéines fibreuses : une affaire d'élasticité. Reflets de la physique. 2008. 9.
j49 S. Neukirch, A. Hausrath, and A. Goriely. Chirality of coiled-coils: elasticity matters. Physical Review Letters. January 2008. 100, 3.
j44 A. Goriely, M. Destrade, and M. Benamar. Instabilities in Elastomers and Soft Tissues. Quarterly Journal of Mechanics and Applied Mathematics. 2006. 59.
j43 N. Choauaieb, A. Goriely, and J. H. Maddocks. Helices. 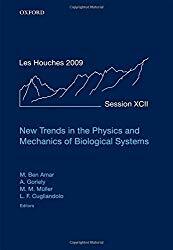 Proceedings of the National Academy of Science USA. 2006. 103, 25.
j40 A. Goriely. Twisted elastic rings and the rediscoveries of Michell's instability. Journal of Elasticity. 2006. 84, 3. 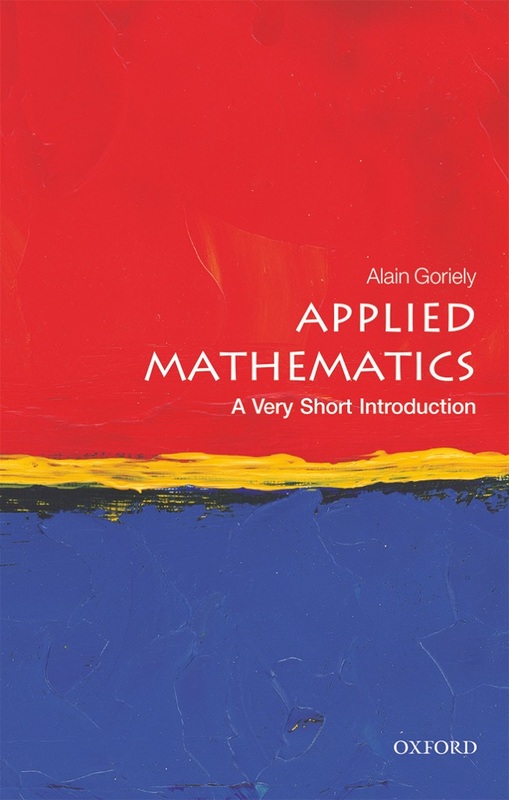 Applied Mathematics: A Very Short Introduction, Oxford University Press (February 2018, 120 pages). Read it together with the Youtube Playlist. A.Goriely. 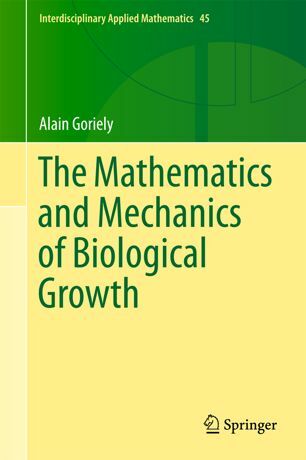 Morphoelasticity: The Mathematics and Mechanics of Biological Growth. Springer-Verlag Interdisciplinary and Applied Mathematics. 2017 (651 Pages). Find it on Amazon. A. Goriely. 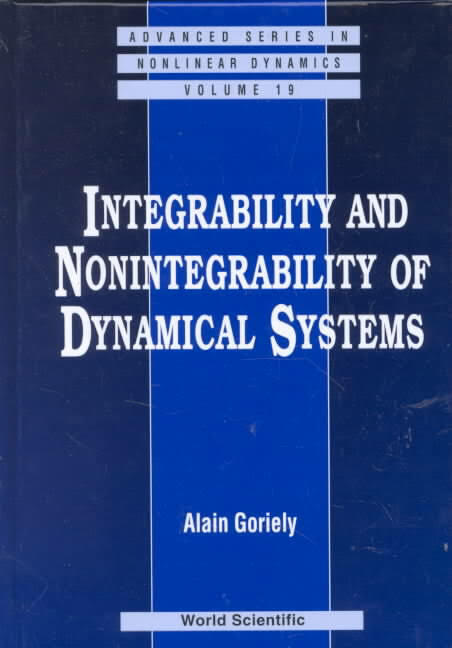 Integrability and Nonintegrability of Dynamical Systems. World Scientific. 2001 (436 pages). Out of print, but you can grab one on Amazon for £375 (a bargain).